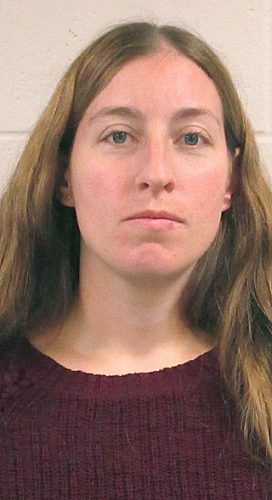 • Megan M. Scholtes, 29, St. Joseph, was charged with two counts of felony financial transaction card fraud, theft-by swindle and theft-false representation June 13. According to court documents, New Ulm Police got a theft report from a Coborn’s Inc. loss control specialist on March 12 that revealed information on several credit card fraud cases from the New Ulm Cash Wise Foods store. The single suspect in the case was identified as Scholtes. Charge backs with the customer buying items and then reporting them fraudulent to their bank. A copy of a document from merchant services regarding the Jan. 10 charge backs labeling the transactions as fraud was provided. The first transaction consisted of food and a $50 Cash Wise gift card, the second all grocery items, the third three $50 Holiday station gift cards and a $100 MasterCard gift card and the fourth a $200 Nike gift card. All transactions were placed on the same credit cards ending in 3672 and Scholtes allegedly manually entered the credit card number during the transactions that totalled $687.46. Paperwork from a Coborn’s internal investigator alert dated Jan. 11 included several photos of Scholtes that appeared to be the same person as was pictured on the Department of Vehicle Services (DVS) database photo. In addition, there was video of what appeared to be the same person involved with the transactions. Scholtes was convicted of felony unauthorized use of a motor vehicle on July 28, 2017 in Stearns County Court.